Three Lochs Holiday Park, is a recognised, 4 star UK static caravan park which offers a lifestyle as varied and interesting as the seasons themselves. This beautiful and quiet corner of Scotland, where driving is still a pleasure, is dotted with charming villages, market towns and fascinating historic places. Three-Lochs-Holiday-Park offers the following facilities. When I booked asked for hardstanding was told yes when arrived showed where to park no hardstanding just sloping grass. The shop hardly anything in it, the restaurant and bar was still being built and there was no takeaway food either. The disabled toilets 1 in the mens and 1 in the womens, none separate which was awkward as my wife needs me to help her shower. The showers were not very clean. You cannot get a TV signal only by sat dish, very bad phone signal too. Apart from that nice quite site for a relaxing time. Nearest supermarket in Stranraer 13 miles away. Have you been to Three-Lochs-Holiday-Park? Please submit your review so that others can benefit from your experience. Important note: Information provided here about Three-Lochs-Holiday-Park is based on our best knowledge. However, please check with Three-Lochs-Holiday-Park before booking to ensure that you have the information required. 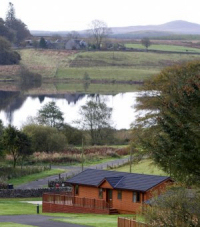 Reviews are the sole views of the contributor and do not necessarily represent the views of CampsitesandCaravanParks.com or Three-Lochs-Holiday-Park.